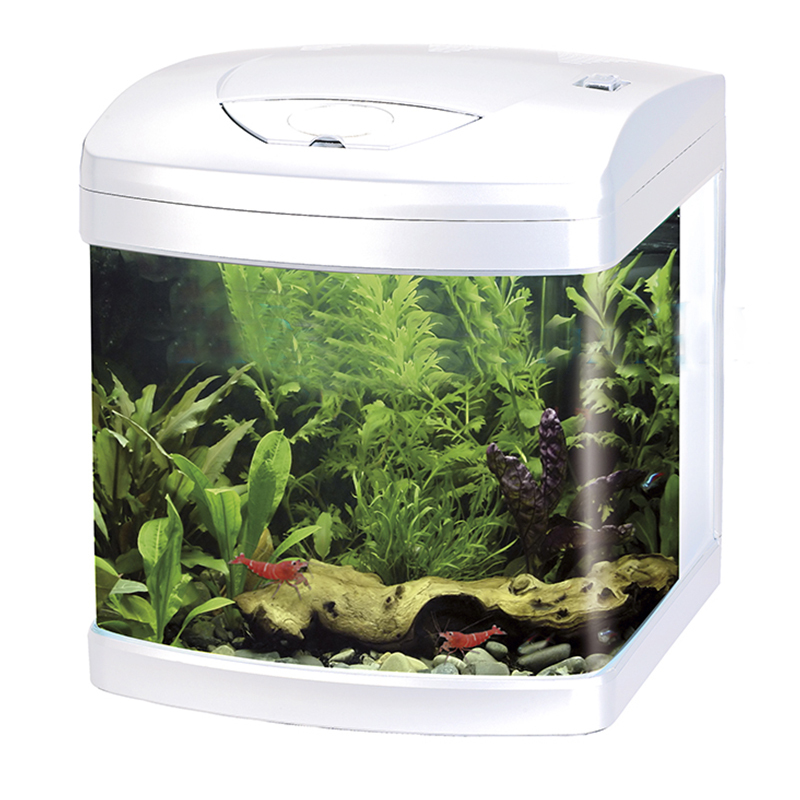 Nice and elegant mini-aquarium professional Xcube26 has the curved glass front and no corners for a pleasant view of the aquatic world. Great to recreate a little piece natural aquatic Xcube26 despite its compact form allows you to create professional small aquariums also thematic. 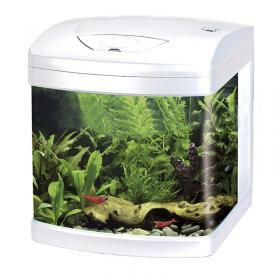 It features a lighting system professional with 10 white LEDs, 4 blue and 2 red, each 0.5W, biological filter compartments (filter media included), pump and predisposition to the heater (not included). Its elegant and refined, is appropriate in every context of furniture.